In an amazing move, Visit Finland has come up with their ‘Rent a Finn’ program for attracting more tourists this summer. Named as the happiest country of the world, Finland has now taken it upon itself for spreading the joy with what they call their ‘happiness guides’. Eight Finns have joined the program for teaching the visitors the secret to be happy by make them witnesses of the local life at Finland. All those winners who will be selected for this initiative will then get to explore Finland for free! The happiest country is now working on exporting its happiness all across the globe and ‘Rent a Finn’ program is going to give you hands-on experience on the way the local Finns live. 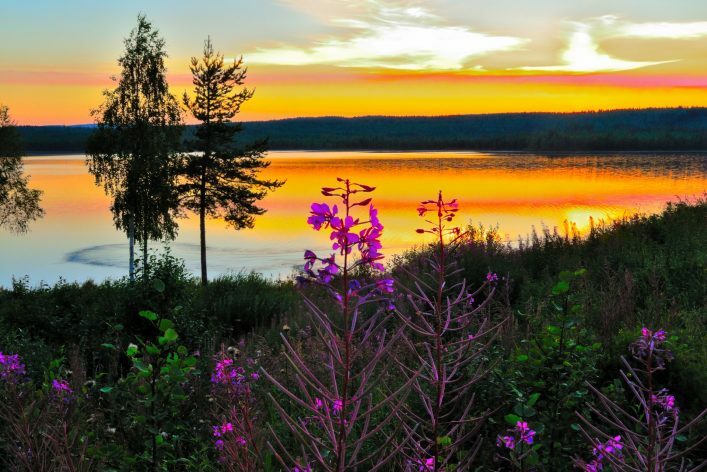 If you are stressed, unmotivated and craving for a break, you really need to travel to Finland for meeting the Happiness Guides so that their calm, relaxed vibe can make you feel a lot better. The Eight Finns will be hosting visitors across Finland and ‘Rent a Finn’ for Free in their towns respectively. For instance, Esko, the mayor of Rovaniemi, is willing to share the Finnish summer joys with the tourists in the comforts of his cottage. This is going to include playing a Finnish game mölkky, boating, grilling and lots of berry-picking. If you want a more unique experience, staying with Niko and Linda may be the best option for you. This couple resides in Utö and would give you a great experience of the Archipelago life amidst picturesque nature and friendly people. You can also camp to a close by islet or go on a sailing trip with them. How cool is that? It is pretty easy to apply for the ‘Rent a Finn’ program. All you have to do is record a three-minute long video describing yourself, your relationship with nature and what you are looking forward to in your Finland trip. Then, you will be required to fill the application form available on their website. The winners will be traveling to Finland for three days this summer and the dates would vary according to the host. All the accommodation as well as travel charges would be covered and you will be filmed all through the visit. But at first, you will have to take the balance test for determining if you really need this relaxing trip to Finland or not.